30' Wide x 26' Long x 12' High Carport with our BEST A-Frame Vertical Roof System. 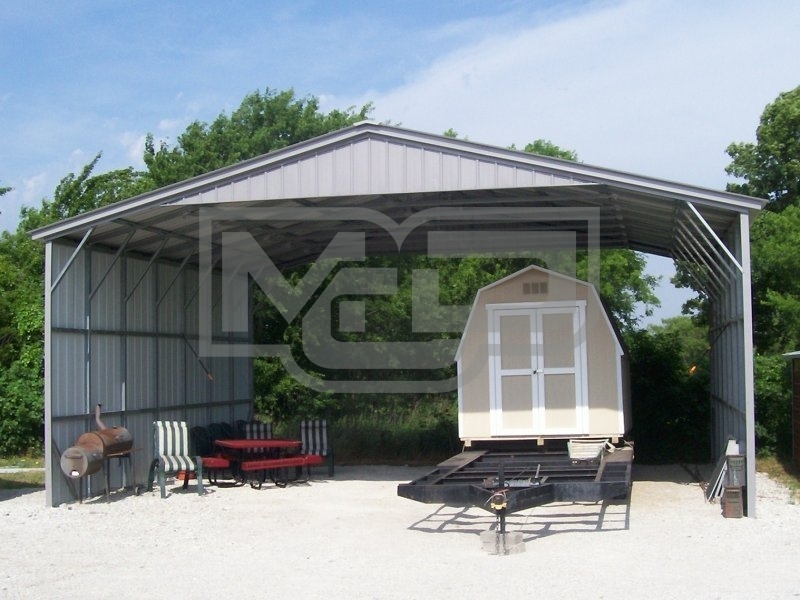 This unit is in our triple-wide class of metal shelters has both sides closed with vertically oriented panels for a commercial appearance and strength, the back and front end wall has high-clearance gables on the front and back end. As with all of our units over 24' wide, it features a strong, heavy-duty truss system and is engineer certified for wind and snow loads.